South Africa is a land of rugged beauty and breath-taking landscapes. There are many ways to enjoy this spectacular country, and embarking on 4 x 4 trails is one of the most exciting of these. 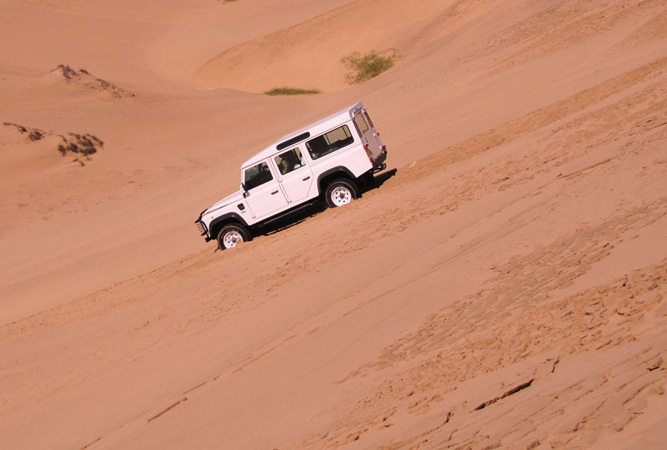 Exploring the landscape in a 4 x 4 gives you the opportunity to see places that are not otherwise easily accessible. This is an easy self-drive that comprises two parts. The first is 328 kilometres long while the second is 284 kilometres in length. There are informal camping spots along the way, perched on the magnificent river banks and boasting exquisite views. Road to Hell is a turn-off on the first section. This is an exciting detour, but should only be attempted by the experienced 4 x 4 driver in convoy with other vehicles. It is a very technical drive. There are a number of 4 x 4 trails through this park, ranging from 13 kilometres (called the Leeuwdril Loop) to four-day options. The Polentswa Wilderness Trail is 257 kilometres long and the Kaa Game Viewing Trail is 191 kilometres long. There are unfenced camping grounds available as well as chalets. Experience the wide open spaces of southern Africa on the easy to moderate Loch Maree Trail. This is on a working sheep- and cattle farm and a reserve that is home to a number of antelope and other wildlife. 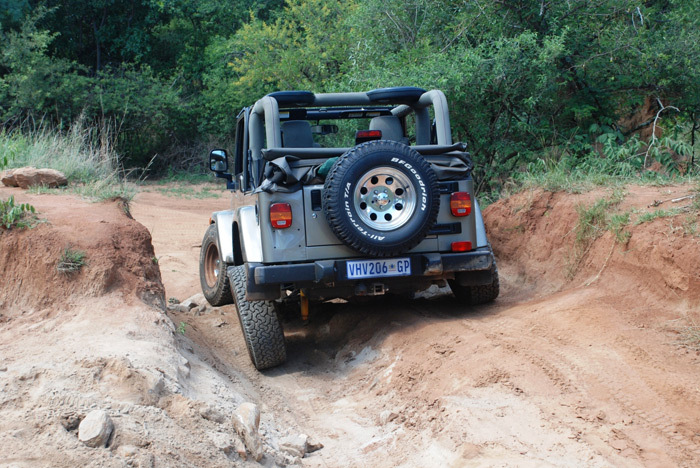 The 4x 4 trail is 50 kilometres long, and drivers are advised to deflate their tyres before they begin. There is camp accommodation available as well as chalets and a Bed & Breakfast. At just less than 100 kilometres long, this is an easy, self-drive route. It is a round trip through the sparse, scrubby landscape of the park. While the course may look rather easy, it is definitely not recommended that anyone attempt it in a sedan, especially for the water crossings. However, it is easy enough for any 4 x 4 and does not require too much skill. Chalets and camping facilities are available. There is no charge to do any of the trails. Echo Corner is a detour, which extends for seven kilometres and offers spectacular views. The river is inviting; a perfect place to unwind within the beauty of the untouched South African landscape. 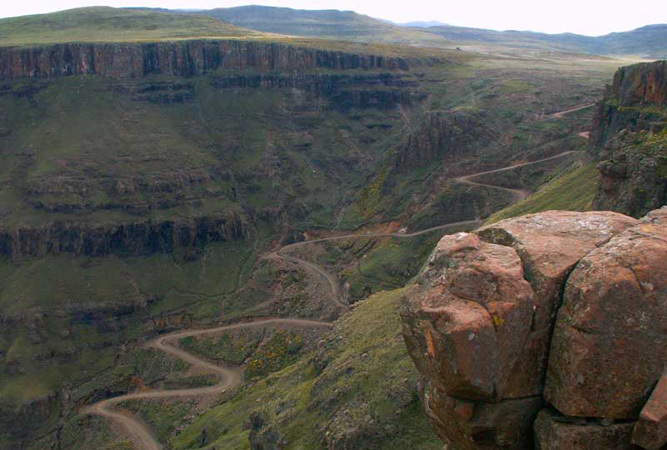 As one of the highest mountain passes in the country, Sani Pass is an impressive 9 400 feet (or 2 865 metres) above sea level. The spectacular Drakensberg mountain pass provides unforgettable scenery that makes the technical route and tricky techniques required well worth it. This has been rated as being strenuous to extreme. Book your South Africa Accommodation at SA-Venues.com.